In the middle of all the back to school hustle, things can get a little stressful for all of us. One of the best ways to relax and unwind is to get your family laughing together! 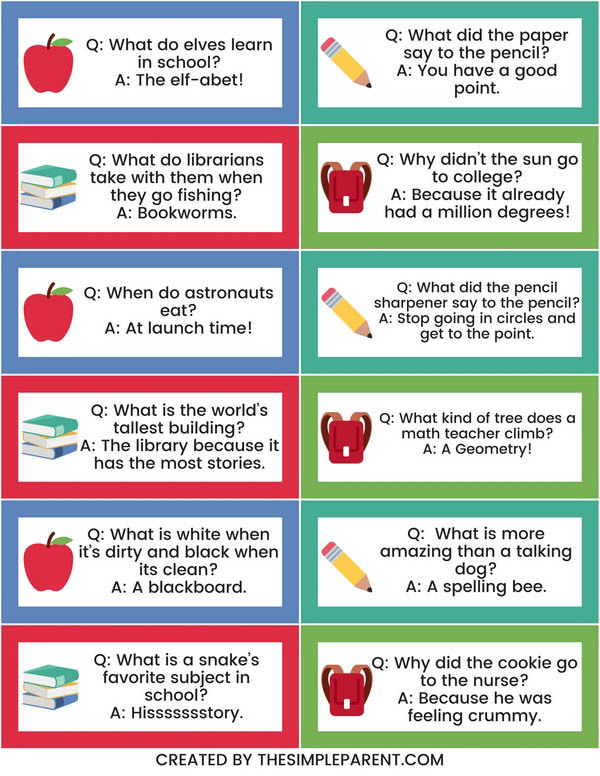 These are some of our favorite school jokes and ones that are guaranteed to get your kids giggling. We’re sharing our favorites in partnership with Boise POLARIS® Premium Multipurpose Paper and because we know just how crazy this time of year can be! So take a deep breath and laugh a little! We’ve been telling jokes as a family for as long as I can remember. Carrigan was trying to tell them before she could fully talk. It’s just one of our favorite things to do. A good kids joke can help ease any tension or stress they might be feeling. The start of a new school year can definitely be a stressful time for all of us. Finding jokes for to tell at school and at home that are related to school are a great way to make the transition a fun one! 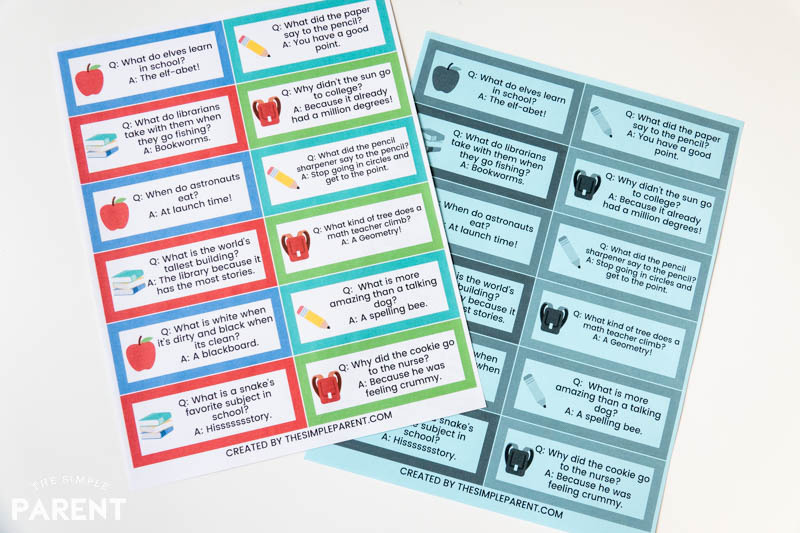 We partnered with Boise Paper to create printable school jokes that you can use to put in your child’s lunch or pull out for a joke of the day! A: You have a good point. A: Stop going in circles and get to the point. Q: What is the world’s tallest building? Q: What kind of tree does a math teacher climb? Q: What is white when it’s dirty and black when its clean? Q: What is a snake’s favorite subject in school? Q: Why did the cookie go to the nurse? A: Because he was feeling crummy. Q: What do you call a boy with a dictionary in his pocket? Q: What’s the king of all school supplies? Q: Why did the teacher wear sunglasses to class? Q: What is a pirate’s favorite subject? Q: What is a chalkboard’s favorite drink? Q: What is a witch’s favorite school subject? Q: How do you get straight As? A: To make the lesson very clear. A: They spend so long at C.
Q: How do the fish get to school? A: Because his teacher said it was a piece of cake. School appropriate jokes are great to share because you don’t have to worry about the kids repeating them when they get to school! They’re lifesavers when you’re in the middle of school supply shopping and need a break! When we’re doing school supply shopping, I also add in some additional supplies for the kids to take to their teachers. Copy and printer paper is a huge one! Boise Paper has proven to be the paper brand I know we can count on! Last year we created a Box Tops printable collection sheet using Boise POLARIS Multipurpose Paper. Boise Paper is the exclusive office paper partner for Box Tops for Education™ and is committed to delivering excellent products while sustaining environmental, economic and social resources for future generations. 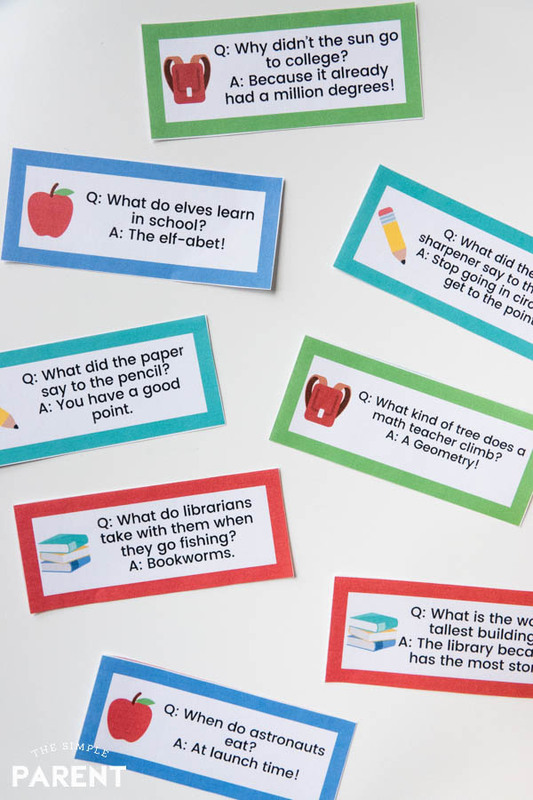 This year we’ve created a school jokes printable! Scroll down to get your FREE printable! These kindergarten jokes will help make the first day of school a bit easier. Some are about kindergarten and some are just easier for the younger kids to remember! That first year of school can be a huge transition for the entire family! So make it a fun one! Q: What’s the best place to grow flowers in school? Q: What flies around a kindergarten class at night? Q: Why was the kindergartener worried? A: There were too many rules in the school! A: On the school buzz. Q: What did A say to B? Q: Why did the jellybean go to school? A: To become a Smartie! These math jokes are some of my son’s favorites! He usually claims math as one of his favorite subjects! Q: Why do you measure a snake in inches? A: Because they have no feet! Q: Why doesn’t 6 like 7? A: Because 7 8 9. A: I have a lot of problems. Q: What did one calculator say to the other calculator? Q: Why did the student throw his watch out the window? Q: Why didn’t the quarter roll down the hill with the nickel? Q: Why did the girl wear glasses during math class? Q: What is a math teacher’s favorite dessert? Q: What tools do you need for math? 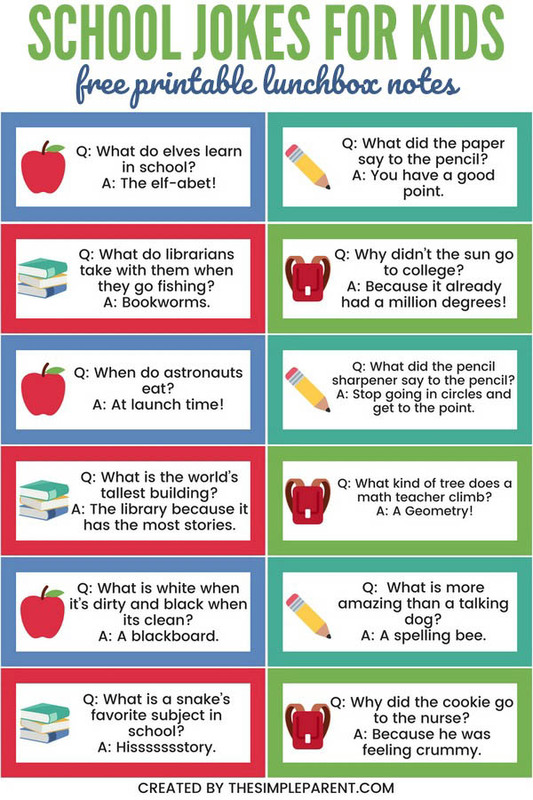 CLICK HERE TO DOWNLOAD YOUR SCHOOL JOKES FOR KIDS PRINTABLE. 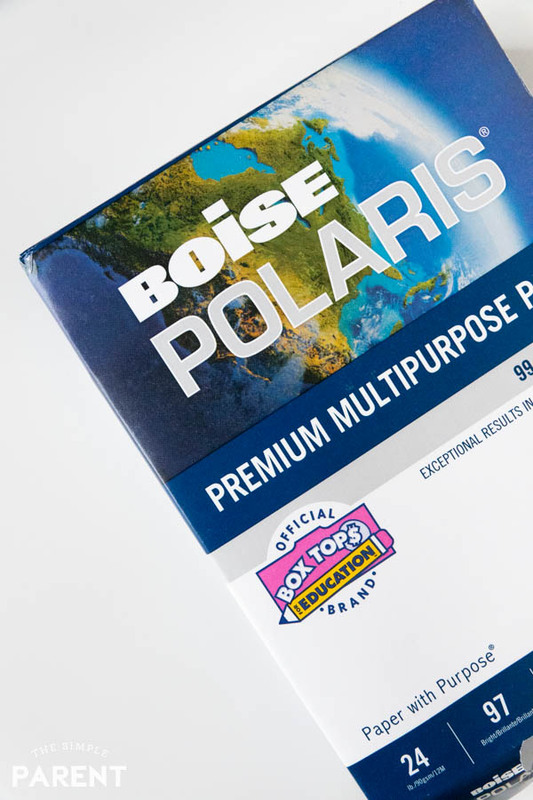 As I mentioned before, Boise POLARIS Premium Multipurpose Paper and Box Tops for Education are partners and it’s a partnership that I love. Weston’s school collects Box Tops to earn money. I’ve been collecting them for years, even before I had kids. When I was teaching, I would clip Box Tops and save them for my class to turn in together. It was a fun project we all worked on together! At that school, the PTO used the money earned from Box Tops for Education to buy new playground equipment! So if you ever wondered what might be done with Box Tops money, trust me — it can go a very long way! Next time you need paper for your home, office, or to send in for the teachers, pick premium papers like Boise FIREWORX paper or Boise POLARIS Premium Multipurpose Paper Premium Multipurpose paper. You’ll get the quality you want when you’re printing and be able to give back to your child’s school by collecting the Box Tops for Education on the packaging! 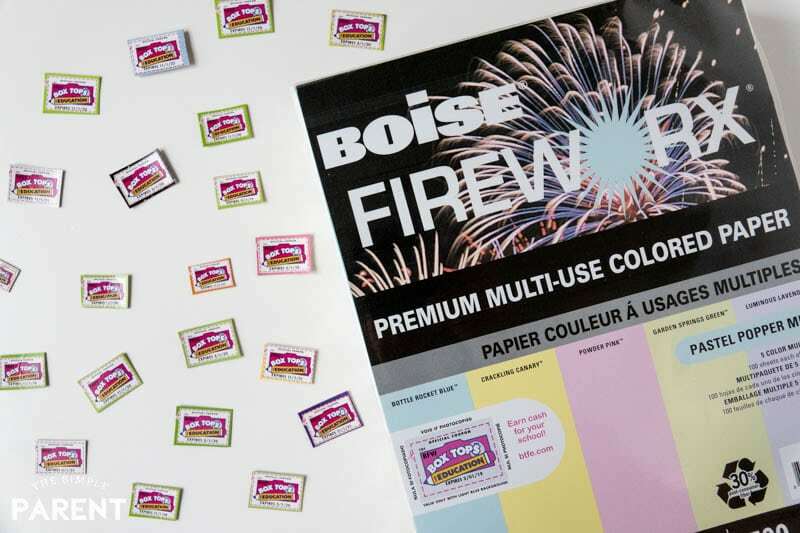 Print your school jokes in color on Boise POLARIS Premium Multipurpose Paper or print them in black and white on your favorite color from a package of Boise FIREWORX paper! Either way, you’ll have your kids smiling as they head back to school! So which joke is your favorite joke? Put them to the test with your kids! Comment and let us know which one your family loves! These are so fun! Grabbing some to spice up lunches here.